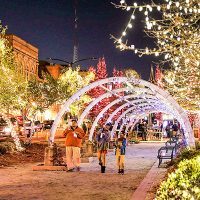 Macon Pops bringe the highest quality production and performance of popular music to a broader audience than found at traditional symphonic concerts. The concert series blends classical instruments with pop culture music. 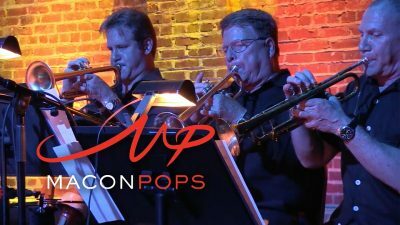 Macon Pops’ unique approach is more than just its innovative musical style, nightclub style venue, and fabulous food and drinks. The musical group showcases an orchestra of accomplished studio and symphonic musicians that encourages an interest in the musical arts for people of diverse ages and backgrounds. 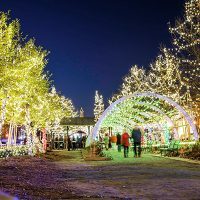 Holiday Light Show Extravaganza with Macon Pops! 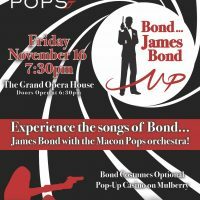 Macon Pops Performs 'The Songs of James Bond"